Air Products and Chemicals, Inc. (APD) provides atmospheric gases, process and specialty gases, performance materials, equipment, and services worldwide. This dividend champion has paid distributions since 1954 and increased dividends on its common stock for 31 years in a row. The company’s last dividend increase was in March 2013 when the Board of Directors approved a 10.90% increase to 71 cents/share. The company’s largest competitors include Airgas (ARG), Praxair (PX) and Air Liquide (AIQUY). 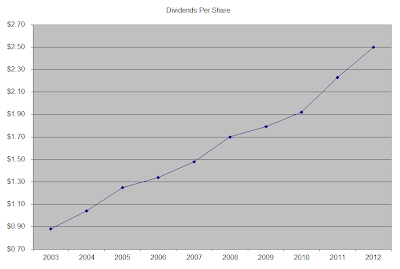 Over the past decade this dividend growth stock has delivered an annualized total return of 10.80% to its shareholders. 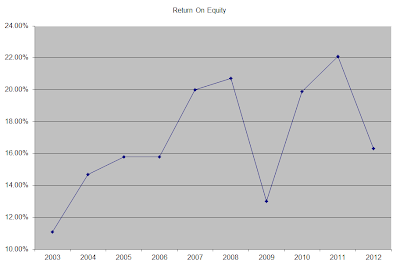 The company has managed to deliver 11.20% in annual EPS growth since 2003. 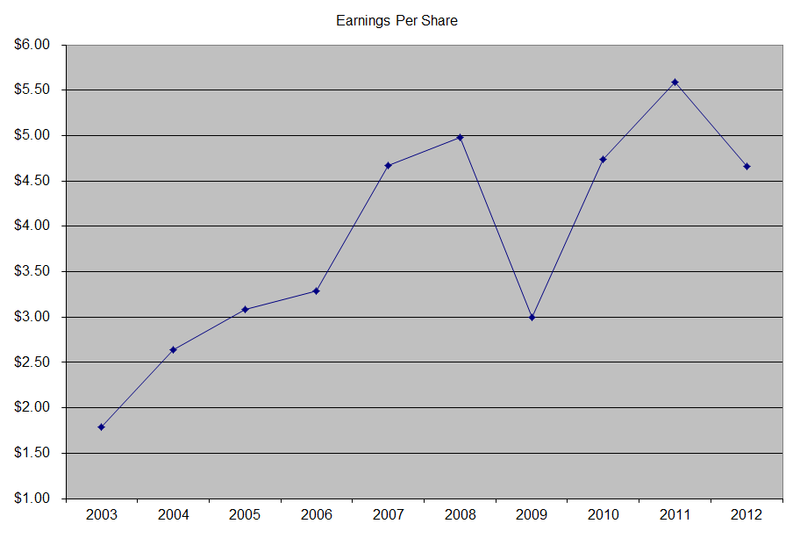 Analysts expect Air Products and Chemicals to earn $5.50 per share in 2013 and $6.08 per share in 2014. 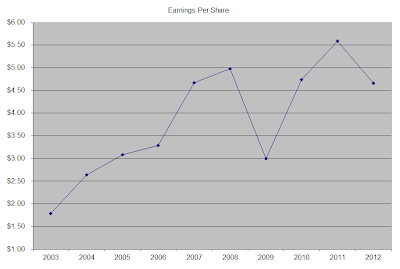 In comparison Air Products and Chemicals earned $4.66/share in 2012. The return on equity has increased from 11% in 2003 to 22% in 2011, before slipping to 16% in 2012. Rather than focus on absolute values for this indicator, I generally want to see at least a stable return on equity over time. 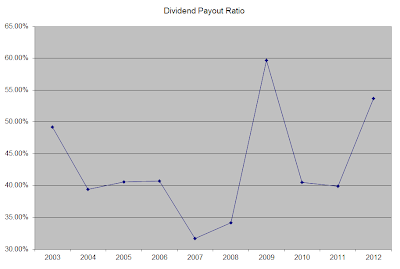 The annual dividend payment has increased by 11.80% per year over the past decade, which is higher than to the growth in EPS. 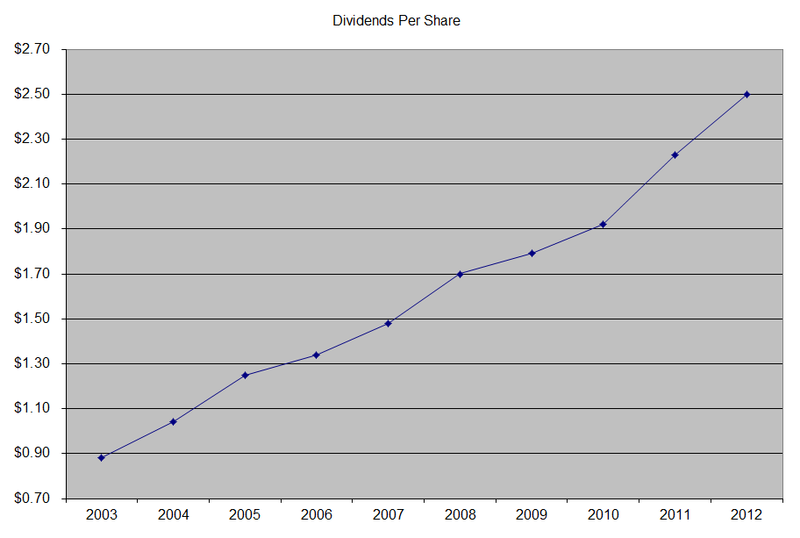 A 12% growth in distributions translates into the dividend payment doubling every six years. If we look at historical data, going as far back as 1985 we see that Air Products and Chemicals has managed to double its dividend every seven years on average. 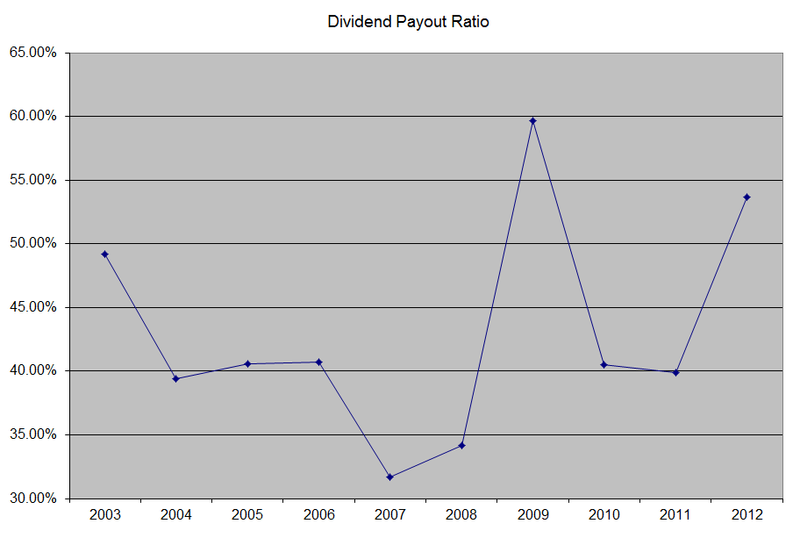 The dividend payout ratio remained at or below 50% over the past decade, with the exception of two brief spikes in 2009 and 2012. A lower payout is always a plus, since it leaves room for consistent dividend growth minimizing the impact of short-term fluctuations in earnings. Currently, Air Products and Chemicals is slightly overvalued at 22.90 times earnings, yields 2.70% and has an adequately covered dividend. I would consider adding to my position in the stock on dips below $94. - Attractively valued dividend stocks to consider today.